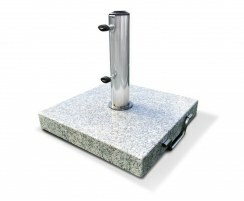 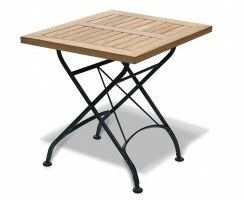 Folding garden tables provide you with the style and practicality of a dining table with the added functionality of being folded away for storage and convenience. 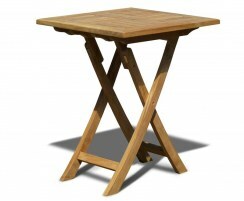 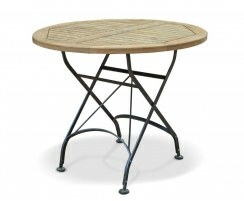 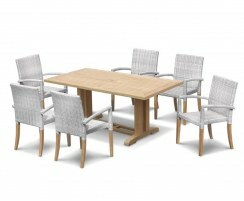 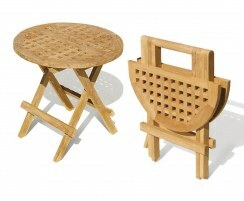 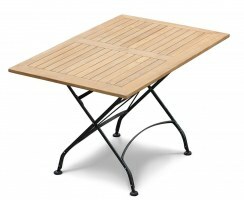 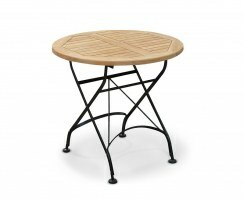 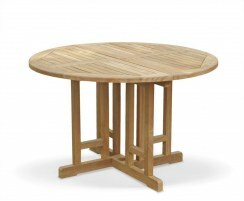 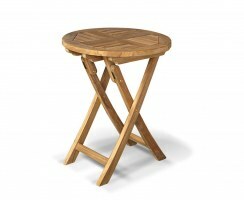 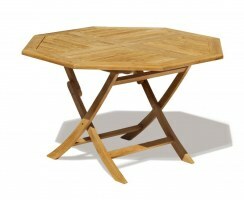 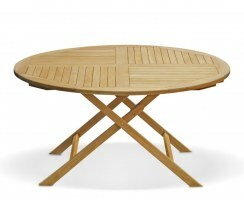 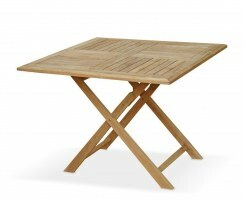 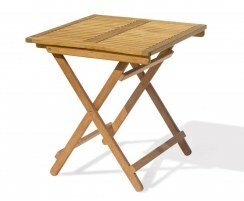 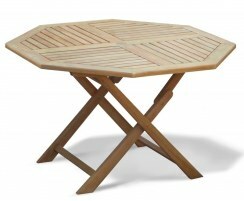 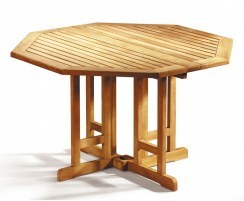 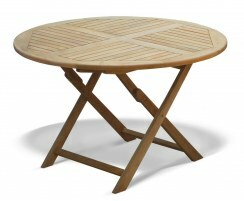 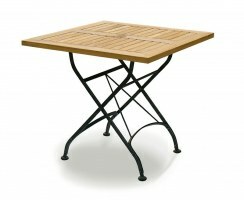 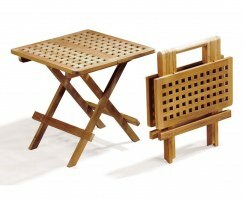 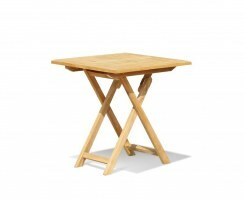 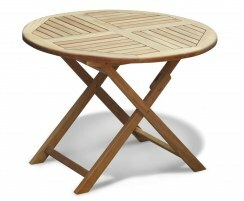 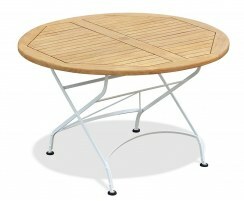 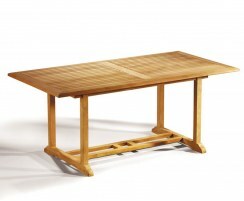 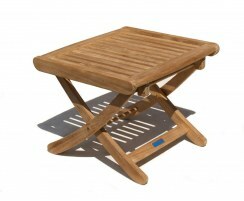 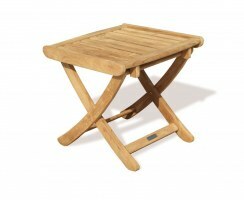 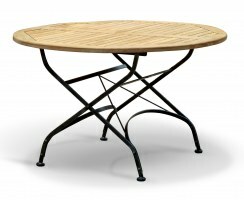 These wooden folding tables are ideal for homes and commercial use in gardens, cafes, pubs and so on. 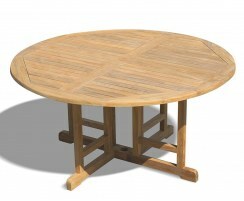 Browse our vast range of teak folding tables below to find the perfect table for you or contact us to discuss any bespoke requirements you may have. 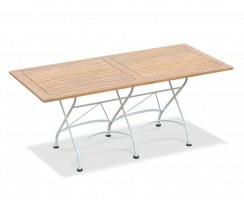 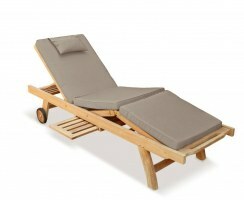 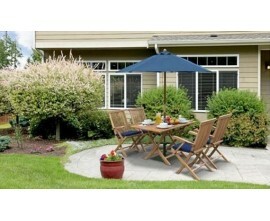 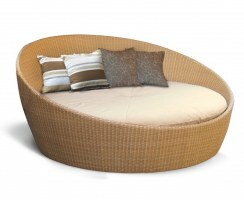 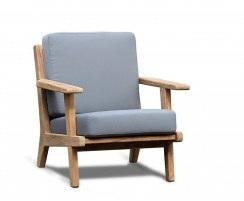 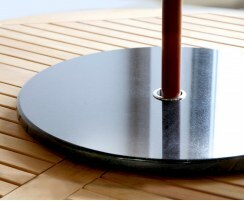 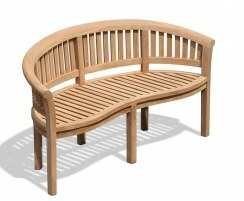 Our folding garden tables are manufactured from sustainable, durable grade-A teak for long life and great looks. 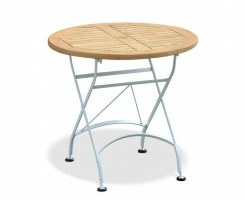 These wooden folding tables are robust and hardwearing and can be left outside all year round in all weather whilst requiring minimal maintenance. 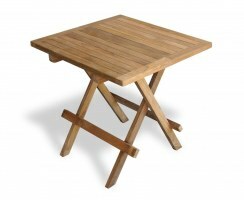 With a variety of sizes and styles to choose from, you're sure to find the perfect teak folding tables to suit your purpose.